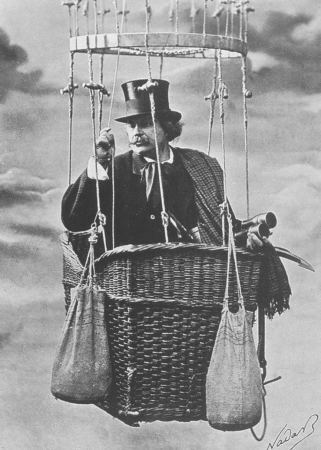 Gasper Felix Tournachon Nadar, who took aerial photos via hot air balloon. 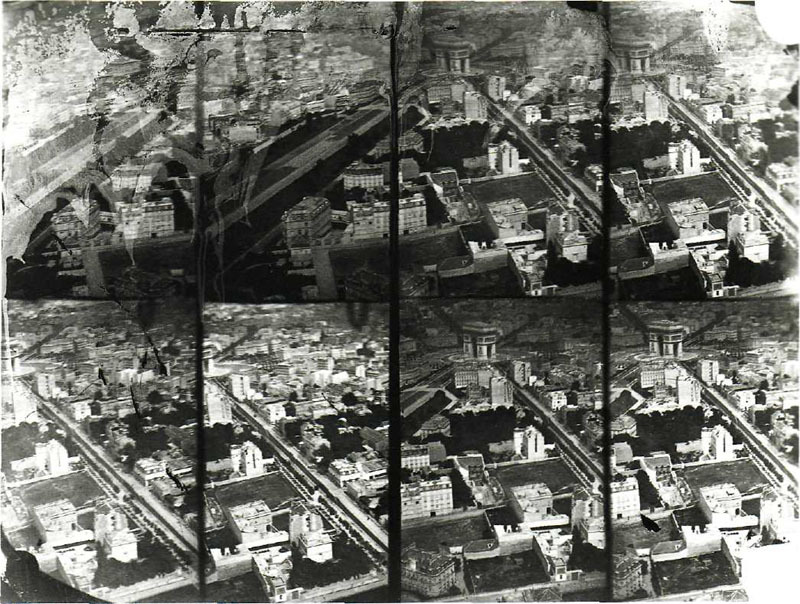 Photos from Dr. Julius Neubronner’s pigeon cameras. The other day on All Things Considered, a reporter was talking to the man who “invented” the 401K. I don’t remember what he did before that, but he wasn’t in finance. He said he thought if an employer matched an employee’s retirement fund there might provide more of an incentive for the employee to participate. The inventor didn’t intend for this to replace the pension, although it essentially has, but rather he liked the idea of providing a way to supplement someone’s retirement. What the discussion brought to mind for me was the idea of invention and creation. And ownership. This man was given credit for establishing the 401 K plan, but surely, he wasn’t the first one to think of it or to maybe to even try it out. We often act as if inventing happens in a vacuum and inventors are some sort of isolated geniuses instead of a product of the thinking and ideas of an entire culture. We human beings are part of a collective, whether we choose to recognize it or not. Why else would similar deities and mythologies and folk tales and rituals and systems have arisen on separate continents even at times where there was little or no contact between these peoples? In the United States, one of our most valued ideologies is that of independence. We can make it as individuals, on our own. What arises with this value is the encouragement of and the desire for perpetual uniqueness. We must be different to be special. While this ideology may drive ambition and creative work in ways, it can also lead to suffering. These ideas take away from the very reality of interdependence. We suffer if we feel like we are not different enough to distinguish ourselves from the crowd. And we suffer if our desire to be unique leads us to isolate from others rather than draw our inspiration and support from community. In other places, where people strongly identify with their clan or community, I imagine there is less selfishness and less worry about own’s place and that this frees up space to just be. In Reality Hunger, David Shields culls together his book entirely from quotes y taken from other people’s writings in order to make a statement about reality and about the idea that it is impossible for to claim anything as one’s own because of the ever-present influence of others. Our obsession with copyright in this country feels less about the intellectual property rights of inventors than it does about ownership and profit. I just heard on the news last Wednesday that the Supreme Court voted that companies could not patent human genes. Well, thank God. That’s insane. But the fact that this is even a question, that a case involving this issue is coming before our highest court shows how askew we currently are in our ownership and entitlement culture. Copyright can be a useful way to protect the ideas and livelihood of inventors and creators. As a writer, I get that. But this becomes a problem when the letter of the law ends up being more dominant than the spirit of the law. The laws that are in place to protect the little guy end up benefiting the larger organizations who have money for lawyers and lawsuits. Look at Monsanto, who sues small farmers when they “steal their property” when seeds fly off their loosely-tarped trucks and are mixed in with the small farmers’ crops. Many of these farmers have lost their farms and others have committed suicide when faced by financial ruin from these lawsuits, lawsuits that are meant to protect the “rights” of billion dollar corporations (see the illuminating documentary The Future of Food for more on this). Where is the line between invention and that which was always going to emerge? Did someone “invent” singing—or even a particular style of singing—when it is an act our bodies were made to do? How do we trace every influence of a particular style of dance that came out of a given country? How does it shift when it is brought to another group of dancers? Can we still call this dance by the same name? What is the connection between independence and invention? We don’t talk about one individual inventing a language, do we? We recognize ways of communicating as emerging from a community. But when we shape those words together in certain ways, is that when invention comes in? Or just because someone got something right and their invention works, does that mean that all the work of those who weren’t able to get it right before her/him doesn’t count? That their process of trial and error isn’t worth anything in the end? There is a temptation, even with something as ephemeral as community movements, to locate the person or persons responsible (just as, on the flip side, when something horrible occurs, the first response of media and officials is to try to find someone to blame, instead of looking at all the complexities at play, including the culture’s role). Some may argue this is to give credit where credit is due or to praise those involved. But there is something dangerous that can underlie this action. If we praise inventors, of products or of social movements, as remarkable individual human beings, this can have one of two effects. We can become inspired to be remarkable (but maybe in a way more encouraged by ego and need for attention than altruism). Or we can become disempowered as we fear we are not “remarkable” enough to accomlish what these inventors have achieved. A healthier medium is to realize that each of us has an important contribution to make and in making this contribution, we can help fill in the missing links in a chain of which we are all a part. We don’t have decide between one or the other. We can choose to collaborate. We can invent together. What an exquisite affirmation of our inter connectivity and how each of us contributes in ou unique way to our human community!